Category Archives for "Guitar Accessories"
We expanded our comparison chart (see below) for guitar headphones with detailed specs of each model. Our #1 choice for best guitar headphone still stands as the excellent Audio Technica ATH-M50x ! Technical stuff? Frequency Range? Impedance?! Hearing his or her own guitar signal through a decent pair of guitar headphones truly marks a before and after in a guitarist’s life. Suddenly, every little nuance is evidenced and clean playing can be truly set apart from that which, to put it mildly, requires some rigorous guitar practice with headphones. And practice is exactly what can be enhanced through the use of good headphones. When playing with an amp, some guitar players tend to fall into the bad habit of muffling their sound through distortion or very loud volumes, which can lead to simply ignoring certain mistakes they could be making. Considering their critically acclaimed high performance and shining customer reviews (currently 4900+ reviews are written on Amazon for the ATH-M50X) at its current price point, the Audio-Technica ATH-M50X is almost underpriced. 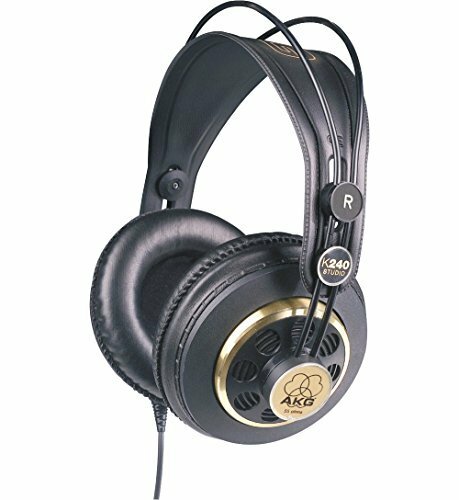 When it comes to headphones for audio professionals and musicians, these are one of the most celebrated models of all times. 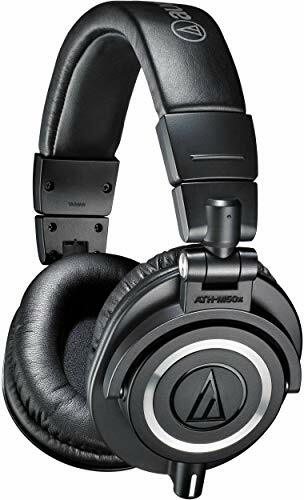 They’ve been in such high demand over the last few years, that the guys at Audio Technica decided to redesign the whole “M-Series” in order to come up with a more comfortable and modern design, without losing their distinctive sound. 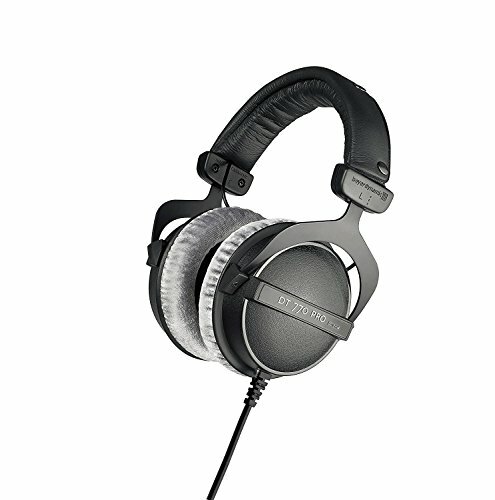 The newer version, the ATH-M50X, still offers the clarity, extended frequency range and amazing bass response that has made these headphones so popular, but also adds notable improvements when it comes to circumaural design (providing better isolation), rotary phones (great for one-ear monitoring), and overall a more robust construction. As if that wasn’t enough, these boys fold for easy storage and they come with 3 types of cable, a 3m curly one, and two straight ones of 1.2 and 3m. This is just great if you tend to practice guitar in different spaces, and sometimes need to move around. It’s also super convenient if you’re going to make these your carry-on guitar headphones for traveling or commuting. Bottom line, the ATH-M50X offer everything you could possibly expect from closed-back monitoring headphones at a reasonable price. They’re truly the only option on their price range that features such versatility when it comes to design. You can even purchase an optional Bluetooth adapter for them, for example. Some notable users of these Audio Technica’s include Matthew Bellamy, James Hetfield, Steven Wilson, and Robert Delong. Talk about saving the best for last! These widely praised guitar headphones offer great comfort and complete noise cancellation due to their closed back design. The ear cups can swivel 90 degrees for one-ear monitoring (great for you sound pros) and the cable is detachable, which is always a bonus. The bass has just the right amount of punch and every range in between is bright and clear. The ATH-M50x has a frequency range between 15Hz and 28kHz, which is more than what you'd need even if it isn't the widest range available for headphones for guitar amp. Impedance is at 38 ohms which covers most audio devices but will definitely sound it's best when plugged into an amp, which is...pretty much the point of getting them in the first place. At a lower price range stands the Sony MDRV6 headphones. Again with over 2500 reviews at Amazon, the Sony MDRV6 has shining reviews and can be considered a perfect buy at its current price point (see full specs and current price). With a wide frequency response of 5 Hz - 30 kHz, the MDRV6 offers a full bodied sonic experience where your musical nuances won't be lost. It's actually a wider range than what many higher end headphones support! At an average price of $75 USD, these are a pair of truly classic headphones. These are notable for being inexpensive for flat, compact, and professional-grade. The cable is 10ft long and non-detachable, which is perfect for guitarists who don't need to move around too much. The design allows for great noise cancellation to really immerse yourself in your music, and the impedance of 68 ohms means it's compatible with most audio devices but will really come alive when plugged into an amp. MDR stands for Micro Dynamic Receiver, a trademark of Sony. The first MDR’s were introduced as far back as 1985, and quickly became popular with audio engineers and disc jockeys for being a cost-friendly option of truly flat headphones that could sustain a lot of abuse and travel (since they’re very durable and even foldable). Now, the MDRV6 headphone model still stands as a go-to for many professionals in audio, including Paul Van Dyk and Gucci Mane, not to mention the numerous pro’s that use some of the variants of the MDR, such as the MDR-7506. 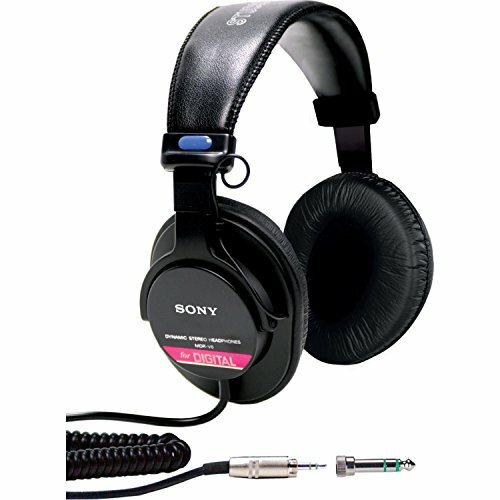 That being said, the V60’s were the original inception of these headphones, and the first run at the Studio Monitor headphone market that Sony ever took. All the other models wouldn’t exist without these, so you’re looking at real piece of audio history. These are over-the-ear, closed back headphones with a wide frequency response (5Hz - 30 kHz)... meaning? - These are great for just about anything. Most engineers wouldn’t go as far as to master with these, maybe only use them as another reference point, but if you’re thinking about mixing, recording, Djing, playing guitar or bass, or just pleasure listening, these are an industry-standard by now. The only con from our point of view is that the cable is not detachable, which, as we’ve said before, means that if your cable ever develops a false contact, you either have to go through the nuisance of getting them repaired or just getting a new pair. True, at a $75 price point that’s not that big a deal, and these are quite durable, but we’re surprised Sony hasn’t added the detachable cable option to these bad boys even after decades of world fame. Not just because of the risk of cable malfunction, but even just to have more options. The cable on the V60’s is 10 foot, which is not a lot, and it’s coiled! Meaning it’s not very comfortable if you’d like to be a bit far away from the audio source from time to time. In such a classic model, it’d be great to have those little upgrades here and there. The same thing happens with the cushioning, and the overall design in general. These may have felt nice and comfy in 1985, but there are definitely far more comfortable options out there nowadays. Anyway, just some things to take into account. After all, the reason Sony might’ve opted to not do those upgrades and keep this model virtually intact for all these years is because it still sells well and increasing the price would interfere with that. The Sony MDRV6 may not be as pretty as the other headphones you will read about in our list, but they're certainly brilliant for the price. And *sigh*, we couldn’t agree more. It’s nice to have these headphones still around without having to visit pawn shops or ebay, so at that price point, we’ll take them. Featuring velour covered ear cups and a light weight, Sennheiser HD598s is ideal for long practice sessions and a sense of comfort that will make the extra dollars worth it. Their impedance is 50 ohms for a full sound experience when plugged into any audio device, and come equipped with a detachable 3m cable (see full specs and current price here). 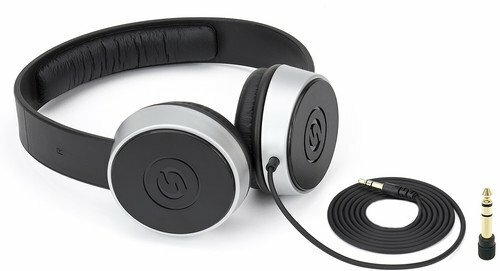 These open back headphones (which Sennheiser actually invented in the 60's) offer a more "authentic" experience where it will sound like the music is coming from all around you and not just between your ears (this is called 'open soundstage'). But this also means the noise cancellation isn't complete and will 'leak' sound. So if you prefer total immersion with headphones for guitar practice sessions and don't want anyone hearing you play, then these may not be the right set for you. The HD 598s boast a wide frequency range between 12Hz and 38.5kHz, so you’ll be able to hear all those rich sounds coming from your guitar. Note that the Sennheiser is for those looking for a consistent, balanced, and high quality sonic performance, so the bass isn’t the type to send thumping vibrations throughout your body. If that's what your head-banging self is looking for, then any other closed back headphones on this list would be a better choice. Okay, now we're at the price peak, but hear us out. The Beyerdynamic DT 770 is arguably the best set of headphones for a guitar amp due to it's amazing frequency response of 5 Hz to 35 kHz for unbeatably clear sound and superb bass reproduction. A really great thing about these closed-back headphones is that they’re used for pretty much everything. Mixing, sound design, live monitoring, recording… plain old pleasure listening, you name it! One look at the list of professionals that use them should suffice in order to attest their quality and versatility (see full specs and current price here). These Beyerdynamic include replaceable cushions and cables. The first thing you probably noticed were the silver cushions, which are extremely comfortable. That being said, these won’t be that fun to use if you’re in any place that gets too hot, as they’re not exactly made of dri-FIT. 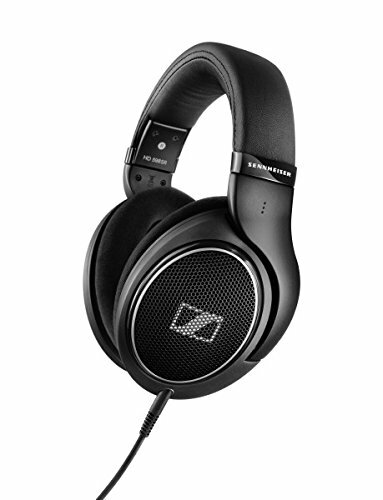 Going further, the DT 770’s offer a solid and well-balanced sound. These are a great bet if you like bass-heavy guitars, as they feature Beyerdynamic’s “Bass Reflex” technology. The low end you hear from these things is very well defined and clear, almost as if you had a subwoofer somewhere in the room, but they achieve this effect without overdoing it. It’s bass response, and not bass enhancement, so these are good even as mixing monitors. A thing of beauty. With snug velour earpads, impeccable noise cancellation, and up to 250 ohms in impedance for incredible amp performance, it's easy to see why these headphones have consistently made it to the top of every sound-savvy list. The best part about this German-made set is that all the parts are replaceable, so you can keep them running for as long as possible without buying a totally new set. Half of the customer reviews are just raving about long they've had their Beyerdynamic's for! So yes, this is definitely a top choice for the best headphones to use with a guitar amp. You won't get a more realistic sound than with these bad boys, so choose wisely. If you are set on using your headphones only to practice guitar with them occasionally, then we understand if you’re a bit reluctant to spend over $100 on them. The K44’s are absolutely your best option if you identified with that last sentence. They’re pretty budget friendly, semi-closed back and fairly comfortable. The cable is 8’, and they also include the 3.5 / 6.5 mm stereo adapter. They’ve got all you need, really (see full specs and current price here). As far as sound goes, they are good when it comes to clarity, but do feel a little overdone on the bass and mid frequencies. Luckily the treble isn’t too spiked, otherwise we wouldn’t recommend them, but they’re good to simply practice with. Certainly better than any other more commercial options such as Bose or Beats. Don’t buy those to practice guitar with them! Could a pair of professional headphones reliable enough for mixing really be under $50? This is the big question with this model. While they’re not as renowned as other models, they do offer a good audio reference, which sometimes is all you really need. At an average price of $35 USD, it’s amazing that these low cost headphones could churn out some decent mixes, but as with everything, it’s really up to the person using them. The SR850’s do sound pretty decent considering the cost. The bass is definitely there, nice and thick without being artificially enhanced, while the highs are nice and clean. 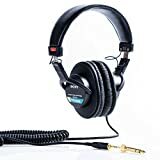 These headphones are mainly used for reference audio, which is the old question of getting a true representation as possible from the audio source. That technology, in plain 21st century, shouldn’t be that expensive, so it makes sense that these Samson’s would give you that without having to break the bank. They do skip some nice features like detachable cable, interchangeable cushioning, or a more appealing design. But if you can do without those, these are a great bet to start doing your own mixing, teaching yourself what to hear, or even have as another reference point. Finally, while you won’t find any equipboard clippings with professional artists endorsing these, they are quite popular in music production and audio engineering forums. If you want a pair of headphones specifically to connect them to your guitar amplifier, you probably won’t regret these. This is another option for those who’d like to keep their budget under $50 USD. The main differentiators with these is that (comparing them to the Samons, which are the only other option under 50 bucks), is that the cable is detachable and they actually fold flat, like literally flat. They can be bent and extended into a straight shape, which helps if you’re squeezing them into a suitcase. Edi-who? We know, Edifier isn’t exactly a household name when it comes to professional audio, like, say, a Sennheiser, Audio Technica, or AKG. That’s because they’re a Chinese company that was just founded on 1996. Like most good ol’ Chinese companies, they’re focus is on keeping things low cost, while just at the right amount of functionality. In that sense, the H850 headphones are no exception. While you may find them marketed as “audiophile headphones” or even for monitoring, we would not recommend this if you’re trying to get into professional mixing or mastering. However, if all you want to do is get a nice and clean signal from your guitar amp into a pair of ergonomic headphones, that do have a detachable cable, then these are definitely worth looking into. We wouldn’t have them here otherwise. The same goes for pleasure listening. If all you want is something you can take with you on trips, but the sound from earbuds doesn’t cut it, these do provide nice texture and details on recorded music, with the added benefit of being foldable and very flexible. After going into detail with each model, let’s also address some common questions regarding buying headphones to practice or record guitar with. Before pulling the trigger on any particular model due to price, brand or look, there a few considerations you should make in order to ensure the wisest purchase. What’s your practice environment like? You may know that headphones are usually open ear, closed ear, or semi-closed back. This refers to the level of isolation that they provide, with open headphones letting you listen to the environment (good if you’re playing with a band) and closed ear pairs being much more isolated, letting you hear your guitar and only your guitar. Hence, the question of what’s your practice environment like should help you determine what type to go for. If you’re in a noisy space, like an apartment building, and want to practice during the day with something that drowns out all that external sound, the closed ears are the obvious choice. Open ones are good if you practice in a rather quiet space and you’d like to avoid ear fatigue, which is what happens when you use isolation headphones for extended periods of time. If you’d like a good combination of both, as in closed enough for close listening even with outside noise, the semi-closed work wonders. What do you like in terms of sound? This question is all about what you like to emphasize and hear when you play guitar. Are you a fan of chunky mid-frequencies? A high-end maniac? Do you really like bassy guitars? All these things should come into consideration as you try to find the headphones that match your taste. If you’re not sure, going with a very balanced option is the wisest bet. “Balanced” refers to having no particular emphasis on any particular frequency range. This is good because it means you get to hear your guitar exactly as it sounds coming from the amp, with no tampering. That means that if you’re working on a certain sound while using these headphones, that will still sound great once you unplug them and let the sound flood into the room. What other needs do you have? Then there’s the question of whether you plan to give your pair of headphones more use apart from playing guitar. If you ever get into home recording, mixing stuff, or even just carrying them around with you to listen to music on your phone, you can find a pair of headphones that fulfils all those needs easily! It’s just a matter of being willing to spend a bit more, but it may well be worth it. On a final note on how to choose headphones, a good piece of advice is to go for a pair with a detachable cable. Some people are more rough on equipment, and it’s horrible to have a perfectly good pair of headphones be ruined because of a false contact in the cable. This is less frequent with detachable cables, and whenever it happens you can spare yourself the nuisance of getting them repaired and just get a new cable, or use the spare one they came with! Most guitar amps come with a headphone jack. Using it is just a matter of getting the right adapter, which in these cases usually comes with the pair of headphones, giving you the option of having a 3.5 mm or 6.35 mm jack. If the amp you happen to be using does not have a headphone out, be advised that using an external speaker out isn’t the wisest thing to do, depending on the amp you have. Doing this with transistor amps does not pose any serious threats to the amp. Tube amps, however, must have a load that is matched to the amp’s output, so using the speaker output to plug headphones without having some sort of a dummy load to absorb the output power, could cause some damage to the amp. More on that here. Of course, if you’re somewhat of an electricity buff, this video on how to add an output jack to any guitar or bass amp might help. As another option if you’re also considering home recording, you can just get an audio interface to recording into your computer with, and then just mic your amp or plug it direct. If you’ve opened some of those links and looked through the product description of any pair of headphones we’ve covered, you might have noticed certain technical terms like frequency range, impedance, or the mention of a headphone amp. Frequency range means how many frequencies each pair of headphones is capable of reproducing. Simply put, the higher the better. Impedance, when it comes to headphones, means the power that they require to deliver certain audio levels. Headphones with low impedance (around less than 25 ohms) require little power to provide decent audio levels, so they’re best used with equipment with low amplification like a phone or a laptop. Headphones with high impedance (more than 25 ohms) require more power to deliver higher audio levels, these are meant to be used with more powerful equipment than your usual home electronics. This is where the term “headphone amp” might have come in. Headphone amps are used for people that are going to be using several pairs of headphones, usually for monitoring or mixing purposes. Higher impedance headphones work best with this sort of equipment but don’t necessarily need it to perform. That being said, your guitar amp does count as powerful equipment, as the signal it sends to your headphones for guitar amp practice is certainly stronger. That’s why the Beyerdynamic’s, with 250 ohms, are a great bet for guitarists. The higher impedance means they can sustain more powerful amplification without risk of blowing them out. Although you may love the sound of your own music, you probably have neighbours or roommates who aren't exactly the biggest fans of guitar solos at 3am! Fortunately, guitar amp headphones have always been the answer to keeping our noise to ourselves, and there are specialised headphones for guitarists like yourself who want good quality sound without busting the budget. 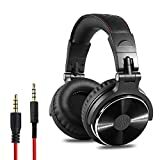 Just like everything and anything on the market, there are different versions of the same product and all at different prices when you are going after the best headphones for guitar. But when it comes to headphones for a guitar amp, is it really justifiable to spend over $200? Naturally, the more expensive you go the better quality sound you'll get, just like any other regular set of headphones. However, you don't necessarily have to spend hundreds of dollars either. There's a certain price point where anything over that is just brand name benefits and not really sound quality benefits. Generally, the best range is between $60 - $260, where anything under that will likely be followed by a better set soon afterwards. Now, it's worth noting that choosing headphones for amps is very different from choosing regular headphones to listen to music with. Music has already been mastered and processed, whereas your own musical creations are not, and will be powering through your guitar headphone amp loudly and inconsistently, so a sturdy set that can handle the different frequencies and minimise distortion are a must. There are plenty more choices out there, but the five headphone models we have reviewed in this article are by far the most recommended by countless musicians like yourself, and who better to get genuine recommendations from than the those actually using them. As for those of you still thinking "maybe I could get away with getting a cheaper set"... Nope. Bad guitar amp headphones will only result in lousy audio that will either make your guitar playing sound worse than it actually is. An even more dangerous risk is that it could make it sound better than it actually is, and that's not going to be a sweet surprise when you're finally on stage and hear the real deal. So make the commitment to a good set of guitar headphones (any from this list will do) that will accurately channel your talent, last you a good few years, and most importantly, avoid any ruckus from the neighbors. While the best way to play your guitar is plugging it into a good amp and making the room shake with its overwhelming sound, there may be times when you can’t just show the world the sound of your guitar, maybe due to a neighbor’s complaints, or maybe it’s just late and you don’t want to wake up everyone in the house. For whatever reason, there has to be silence around you, while still being able to play and appreciate that electric guitar sound that makes you so happy, that’s where the trusted headphones come in, however, not any pair of headphones will give you the quality you need in order to get a decent sound from your guitar which differ from the usual set of headphones you would use just to listen to music. First of all, one of the most important aspects of headphones for amps is that guitar audio signal is much more powerful, inconsistent, and a lot more raw than listening to music that was already mastered and produced, that is why you will need a wider frequency response and more durability to sustain this unbalanced sound otherwise the guitar frequencies may cause the sound to peak and not only damage your hearing but also distort the sound a lot more. Also remember these are not necessarily just to use when playing guitar, any of these headphones can be used to listen to music with an iphone, android or any other device you want, the only thing is that the ones shown here are those that better suit your needs as a guitar player. The frequency needed for a good sound is just 20 Hz to 20 kHz range which is what most headphones can deliver, but there is also the fact that not everyone likes the same sound, so there are actually plenty of options to choose from. So with any of these models, rest assured that your guitar amp is enough to get the full potential out of them. Enjoy! Guitar picks are used to play guitar and other stringed instruments on virtually any musical genre, and most guitarists usually have more than one in their toolkit (they tend to vanish mysteriously, as you probably know if you’re reading this). But there is also a rather unknown kind of pick that is used to play in a specific style called fingerpicking, and it’s called-you guessed it- a finger pick. Today, we will dive into the mystic world of guitar finger picks and also give you a 101 beginner's guide about guitar picks in general. Finger picks are different in many ways to the regular guitar pick, both in design, construction and sound, and they are mostly used to play acoustic instruments such as guitar, banjo, pedal steel and resonator. Thumb picks allow you to easily attack the bass strings when using your thumb to play fingerpicking style. Fingerpicking styles is usually played on acoustic guitar and other stringed instruments, very popular in genres like folk, country, classical, bluegrass, pop/ rock, and more. Some of the most famous fingerpicking style guitarists include Don Alder, Donovan, Nick Drake, Lindsey Buckingham, Mark Knopfler, and many more. Classical guitarists and some of the guitarists mentioned above use only their fingers to play acoustic guitar, but most of them (especially blues and bluegrass players) use finger picks. Fingerpicking technique can be hard to master at first, but it is certainly worth exploring- you can come up with interesting arrangements and spice up your playing by learning this style. Why Should I Get A Fingerpick? What Are the Different Types of Finger Picks? 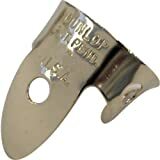 The first pick we will be reviewing is the Dunlop 37R.018 Brass Finger pick. 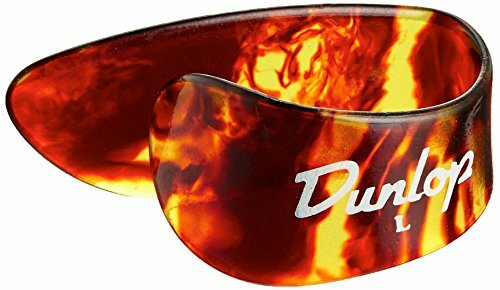 You have probably heard of Dunlop before, since it is one of the most popular brands among all kinds of players, well known for manufacturing quality guitar accessories since 1965, and their finger and thumb picks are certainly not an exception. The Dunlop 37R.018 Fingerpicks provide a bright sound and a great tonal response, which makes them perfect for guitar, banjo, pedal steel and resonator. You can find them in many gauges, but if you’re just starting out the 0.18 will probably feel more comfortable and give the best results. Once you have acquired the proper fingerpicking technique you can try out other gauges and choose the one you like the most in terms of comfort and sound. The Dunlop 37R.018 Brass Fingerpicks are quite durable and can withstand frequent use without bending out of shape or losing sound quality, and the brass construction allows them to last longer than picks made from other materials. Banjo and acoustic players are the ones who will love the crisp brass sound and the light/ medium attack, compared to the nickel finger picks that deliver a sharper attack. Players who have reviewed the Dunlop 37R.018 Brass Fingerpicks praise the light weight, bright sound and solid construction they provide, plus the comfort and easy adjustment they provide. When you buy the Dunlop 37R Brass Fingerpick 20/tube you get 20 brass finger picks at quite affordable price (around 20 USD), which is a great deal for what you’re getting- high quality, durability and the classic Dunlop tone. 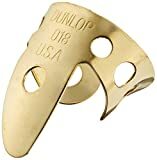 It makes a lot of sense to buy the 20/tube brass fingerpicks because if you happen to lose a few picks you still have a lot of spare ones to use, so the package should last you at least a few years. However, you must be aware that you won’t find any thumb picks in this package and you must buy them separately. Fortunately, Dunlop sells individual plastic Thumb picks at a really low price, in fact, they are the next item in our list, so keep reading to learn more! If you’re just starting to play fingerpicking style, the Dunlop 9023P Shell Plastic Thumb picks are definitely a great choice; they are comfortable and a lot of players claim that they feel more natural than metal fingerpicks. Plastic thumb picks deliver a softer response and feel more comfortable than their metal counterparts, so if you’re just starting to get into fingerpicking style, the Dunlop 9032P are probably the best choice. They are not adjustable like metal picks, but you can find them in a variety of sizes.A warm tonal response and great control make them great picks for guitarists who are transitioning from regular picks to fingerpicking style thumb picks and may find nickel or brass harder to control. Traditionally, thumb picks are designed to attack the bass downwards while finger picks are placed on the remaining fingers (except the pinky finger) and attack upwards. This is the tricky part of mastering the fingerpicking technique, since each finger has to move individually in a seemingly unnatural way, but it’s not uncommon for acoustic guitar players to attack all strings with just a thumb pick too.In fact, the Dunlop 9023P thumb picks are frequently used as a substitution for a regular pick; they provide more grip so it’s almost impossible for the thumb pick to accidentally fall off. This is why many guitarists prefer using plastic thumb picks instead of the traditional triangle shaped picks. Even some bass players prefer to use Dunlop plastic thumb picks instead of regular picks, mainly because they are easy to hold when attacking thick strings and much less likely to fall off, no matter if you’re playing in an aggressive style. This should give you an idea of the quality and durability of these thumb picks; the construction is indeed quite solid so you don’t have to worry about the pick breaking or bending. Reviewers of the Dunlop 9032P thumb picks like the stylish shell colored look (although you can also find them in white) and the affordable price. The next pick in our list is the National NP1-88 Thumb and Finger Pick Pack, great for guitar, resonators, banjos and other stringed instruments. The package comes with 4 NP-1 long-wearing stainless finger picks and 2 black NP-8B ABS plastic thumb picks. National is another well-known brand among guitar players and has been a prominent band in the business for decades, famous for manufacturing quality products that offer great value at an affordable price. 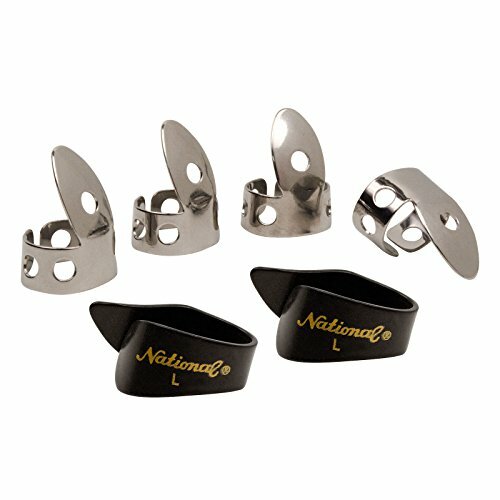 The National NP1-8B stainless steel finger picks feature an ergonomic construction which make them quite comfortable even for players who are just getting into fingerpicking. They can easily be adjusted to better fit the shape of your finger. The thumb picks are made of ABS plastic, which is a resistant yet flexible thermoplastic polymer that guarantees great durability and comfort. Although you can order the thumb and finger picks in small, medium, and large sizes, most players find the large sized thumb picks comfortable, and many users recommend getting one size larger than the one you would consider firsthand. Some reviewers also recommend placing the thumb picks in hot water for a few minutes in order to soften the plastic and get a better fit in case they feel too tight. With a stylish, vintage design both finger and thumb picks look great and also deliver a rich sound, with great warmth and ring. You can play for hours with the finger and thumb picks on and they won’t feel uncomfortable or fall off. The gauge is somewhat heavier compared to the one of the Dunlop, but the finger and thumb picks are comfortable anyway even if you don’t have any prior experience of playing fingerpicking style. The National NP1-8B Thumb & Finger Pick Pack - Stainless Steel/Black set offers great value for the price- you get comfort, durability, and a great sound with clarity of attack and brightness, plus a nice design that mixes classic vintage elements with a modern look. The last finger picks we will be reviewing in this article are the Dunlop 33P-018 Nickel Silver Finger and Thumb Picks -018, 5 Players’ Pack. Perfect for both beginners and more seasoned players, the Dunlop 33.018 Nickel Silver Finger and Thumb Picks are great for genres like bluegrass, country and folk, so it is no surprise that this finger pick model is the one that both professional and amateur banjo players like the most. They sound great on acoustic and pedal steel guitar as well, mainly due to the sharp attack and bright tone they provide. This has a lot to do with the nickel construction of the finger picks; in terms of sound, nickel delivers a more aggressive, sharper tone than brass. They are quite comfortable even if you intend to wear them for long periods of time, and they can be easily bent to fit your finger. This is a great plus, since you won’t have to worry about ordering the right size like some of the other finger picks reviewed in this article-you can simply adjust them to fit virtually any finger size. They are available in several gauges though, and which gauge is right for you is based entirely on personal preference. Just remember that thick gauges are heavier and harder, while thinner gauges are softer and more flexible. If you are still unsure about what gauge to get, the 0.18 gauge is the standard recommended starting point. In terms of price, these are perhaps one of the most affordable finger picks in the market, so that’s a benefit for players that are curious about starting to play fingerpicking style in guitar or banjo and don’t want to invest a lot of money in buying picks. If you have never played finger picking style before these are great intro finger picks. 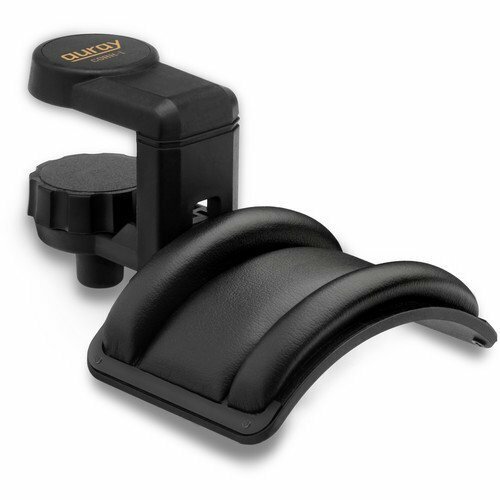 Besides being marketed at quite a low price for the quality you’re getting, they provide excellent comfort and sound quality no matter the instrument. Gauges (in. ): .013, .015, .018, .020., .0225, .025in. When not using a pick, the fingerpicking technique can be played with either your fingernails or the tip of your fingers, depending on the kind of tone you’re after. Nail fingerpicking provides more attack and brightness while fingerpicking with the fingertips results in a smooth, warmer sound. The most obvious downside of nail fingerpicking is that you need to let your fingernails grow quite long in order to obtain a bright sound and a decent attack. This may be uncomfortable and inconvenient for some players, especially hobbyist guitar players and players who have a job that requires them to have short nails. This is where fingerpicks come in handy- they can emulate the sound of nail fingerpicking while providing a better tonal response and a brighter sound, especially when the picks are made of metal such as brass or nickel. Besides delivering a brighter sound and a sharper attack than fingernails, they are comfortable to use and easy to take off; you can simply remove a finger pick when done practicing or playing a gig. Quality fingerpicks are usually very durable, so if you don’t happen to lose them they should last hundreds of hours of playing. Another advantage of using fingerpicks is their versatility; you can find them in several gauges, designs and materials, each of them manufactured for a specific purpose and designed to provide a unique tonal response, for example, the Dunlop 37R.018 Brass fingerpicks featured on this list provide a sharp attack and a bright sound, while their nickel made counterparts, the Dunlop 33P.018 Nickel Silver picks give more resonance and more tonal control. Your choice of fingerpicks will be greatly influenced by the kind of timbre you’re after- nickel and brass fingerpicks deliver a sharp, bright sound, while plastic or acrylic picks result in a softer tone and a controlled sound. Some finger picks are sold separately and packs usually come in sets of 5, 200 or 50. Brass and nickel fingerpicks are more adjustable than acrylic fingerpicks, but comfort-wise plastic fingerpicks are preferred by many players thanks to their softer construction and lower price.Your playing style has also a lot to do with the kind of pick you should choose as well. Players who have a more aggressive style usually prefer brass fingerpicks due to their sturdy construction and added durability, while acrylic and plastic fingerpicks are best suited to styles that don’t need a lot of attack and require a softer sound.Fingerpicks come in a wide range of gauges, thicker gauges are hard and heavy while thinner gauges are softer and more flexible. If you’re not sure what kind of finger pick best suits your needs, don’t worry we’ve got you covered! For this article, we picked (pun intended) some of the best finger picks available in the market. Qualities such as construction, durability, price, tone and comfort where taken into account when choosing the fingerpicks on this list. A guitar pick is a necessity for most guitar players. It’s small, affordable, yet it hugely affects the tone and technique of the guitarist. Which is why it’s important to pick out the best guitar picks you can get for your style of playing. But there is also a rather unknown kind of pick that is used to play in a specific style called fingerpicking, and it’s called-you guessed it- a finger pick. While a guitar pick will not dramatically effect your tone like say, plugging in a fuzz peda﻿l or a tremolo pedal, it will effect the tone enough for you to be concerned about the type of pick you are using! Not all picks are created equal and each one has its own musical purpose that will make your music come off different each time. If you’re looking for the type of pick to use during your next jam, we’re here to help you decide the best fit. In this article we’ll discuss the types of guitar picks in the market including the materials they are made of, as well as the shape and thickness of picks and how they influence the sound that is created. It is no question that guitar picks span far back in guitar history. Some of the earliest picks were made out of some cool materials to say the least. If you are able to find some of these kinds old school picks, consider yourself lucky! These picks are considered old school and not all guitarists have had the pleasure to get the feel of it. The reproduction of these picks were subjected to a ban in the 1970’s so their very hard to find. According to those who have had the privilege to experience their natural feel, these produce warm tones and could last for years and years due durability. They can also be reshaped easily through filing or sanding. These picks have small yet strong following due to their unique resonant qualities. They provide easy grip and produce mid to upper range harmonics with little to no effort. Stone picks help players achieve potentially richer sounds as they don't absorb as many harmonics during the initial string attack but these babies can be quite pricey. They are also pretty rare, so you won’t be finding them at your local guitar shop unless it’s a really unique shop. These picks feel similar to original tortoise shell and also produce a slightly similar tone. These picks are characterized by good attack, well-rounded tone, and generally a nice feel. The material fades with time making it harder to grip or hold on to. Dunlop develops these picks and they are very easy to find. These picks produce balanced tones with crisp, bright attacks. Their exceedingly typical in today's market despite the fact that celluloid is being produced less and less as the material is highly flammable and decomposes easily. Ultex picks are the ultimate combination of flexibility and monstrous attack. These picks are lightweight and quite durable. They grant guitar players with the widest dynamic range out of all the picks in the market. Manufactured by Dunlop, they are also easy to find at most guitar shops. Think, Gene Simmons and Jimmy Page. These picks are a crowd favorite played by legends. Nylon picks come in textured grip formats and produce very bright sounds. These also boast unparalleled flexibility that literally adds some springs when you play. Metal picks have extremely crisp attacks. These include Bronze, Brass, Copper, and Stainless Steel picks. Brass are fairly soft with good grip and warm tones, Stainless Steel being the most durable, Copper is the softest while bronze picks are thicker and can sound more on the jazzy side. Jimmy Hendrix was a big fan of metal picks. Dunlop actually makes a pick that is based off what he played with. I’ve had the chance to play with a metal pick and can honestly say I like it. It takes a bit of getting used to but overall is solid! Made from natural material, these picks produce very warm tones and have a natural feel. Some people make their own wood picks out of African Blackwood, Rosewood, Cocobolo, Cherry, Maple, Mahogany, Zebrawood, Walnut, and more. If you’re not into DIY picks, you can purchase wood picks at most music stores for a fair price. This is the most uncommon type of pick and material used by guitarists due to their weak attack. In some cases, these picks tend to add a unique feel that can bring focus to lower-range sounds. Bass and ukulele players are the most common people who use these picks. Most picks come in different triangular shapes – the wider portion allows a firmer grip while the narrow point is used for picking and strumming. These are the most common shape. The point tends to slide off the string when used for picking, giving a mellow tone. These picks are easy to hold as there is no right or wrong rim to grip. These picks tend to last longer as you can use each edge interchangeably so it doesn’t wear out quickly. These tend to be firmer than Standard picks of the same thickness. Players love them for their fast response and bright tone, especially for picking. When strumming, or looking for more mellow tone, simply slide your fingers back slightly and relax your grip. These picks can be used two ways – as a standard pick, or rotated to use the multi-point edge to create multiple contacts during each strum. Some like the multi-contact tone produced by the multi-point edge. Dunlop manufactures these mainly and I would say they are a bit of a novelty but can be cool. These guitar picks are quite useful for picking individual strings. Some guitarists use artificial fingernails in place of picks. These are available in various shapes, sizes, materials, and thickness. A pick’s thickness is also important when choosing one for yourself and you can take a look at the best fit for your playing style and needs here. This tends to be floppy and produces audible clicks with each strum that tends to be undesirable for most guitarists. But it can help most acoustic guitarists subtly achieve “even” sounds when strumming. All in all, it is not the most popular thickness, well for me at least. This thickness is perfect for acoustic guitars and strummed parts. A lot of pro guitarists love them as they tend to be non-restrictive and produce fluttery sounds. This thickness is the perfect place that beginners can start exploring. It’s great for acoustic guitar picking and strumming, as it’s a mix of control, warmth, and durability. Heavy picks provide extracontrol and volume to the sound produced by your guitar. They help improve your dynamic range due to the higher picking force to string vibration ratio (the flex of lighter-gauge picks spread out some of the force of your picking, resulting in less volume). Not all guitarists find them ideal to use as they can feel blocky as well as these can produce dull sounding music compared to medium picks. But others like them because they provide unparalleled control. This picks go as thick as 2.0 mm. These are great for bass and jazzy music. Their designed to give the ultimate transfer of picking force to volume and provide great precision and control over each note. These picks might take some guitarist some time to get used to. Once comfort kicks in, these picks can greatly improve the kind of music that comes off those strings. So there you have it, a crash course in guitar picks. As mentioned they are not the most interesting part of your gear bag but they are sure an important part of it. All and all they are a necessity for most guitarists and provide some interesting tones depending on the type of pick you use! Guitar cables are by no means just an accessory. Cables are an integral part of your guitar’s signal path and can affect the quality of the signal. While the guitar cable isn’t among the most dissected, discussed and often criticized components of guitar rigs, it is an essential part. In this review, we look at some options for the best guitar cable in 2016. We’ve tested an extensive list of models to come up with the cables below. We’ve also taken expert reviews and reviews from other “every day” users into consideration to get a well rounded picture of the best patch cables around today. 5. Orange Amplifiers 1/4-Inch Instrument Cable Black 20 ft.
Below, we present the results of our research and we’re hopeful that these reviews will guide you towards the perfect guitar cable for you. Sometimes, you’ll get lucky with a product that isn’t expensive but ends up being extremely useful and reliable. The GLS Audio TS-TS cable is a cable that falls into this category. 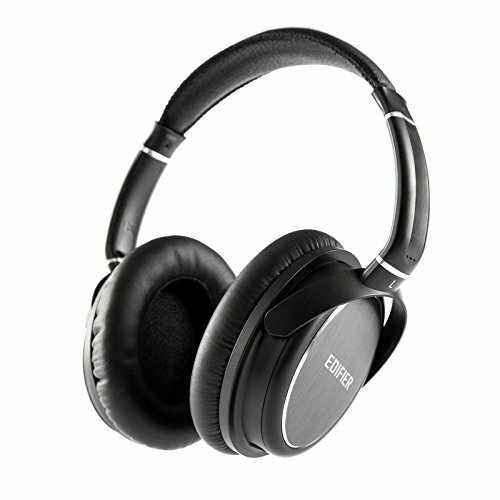 It delivers a classy look and provides a high-quality sound at an undeniably affordable price. As far as sound quality is concerned, this cable is pretty solid for a cheaper cable, but not as good as some of the other ones below. However, it should be mentioned that it is quite silent when compared to similar models at the same price point. The tone comes through the cable without any degradation. It’s a good option for clean guitar tones, jazz, and rock and roll. GLS Audio employs three strategies to strengthen the build and add stress relief. These include rubber tuning, metal clamping, and heat shrinking. The conductive PVC and insulator shield protect the signal from any external electrical interference. The only downside this model has is that you get only one length option: 20 feet. But, this length is more than enough to help cover the stage in almost all live situations. The jacks are straight tipped and GLS Audio makes up for it by availing several different colors. This cable simply offers extraordinary value at an incredibly affordable price. Although KIRLIN isn’t a major name brand, the California-based company has been attracting lots of attention. We’d attribute that to the top-quality cables they’re currently manufacturing. The IWS-201BSG-10 is one of the cables that have made this brand widely popular. Their emphasis here is on the cable’s technical side. While KIRLIN is somewhat secretive when it comes to the proprietary technologies, these guys surely know what they’re doing. This cable sounds pretty fantastic. 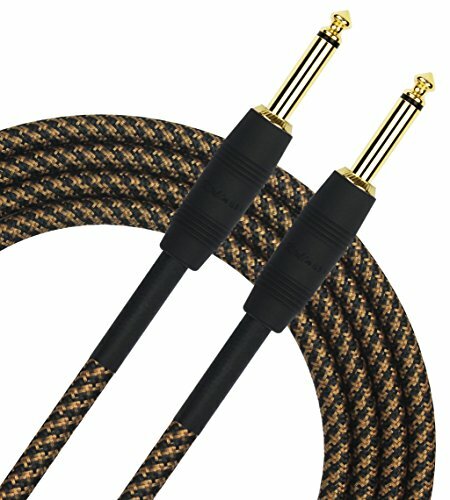 A combination of state-of-the-art design and production results in a beautiful and crisp sounding cable. There isn’t any imbalance in the attenuated frequencies. You can thus rely on this cable to provide a flat response all across the frequency spectrum. You can make use of this cable for all music genres, as it doesn’t color the sound. 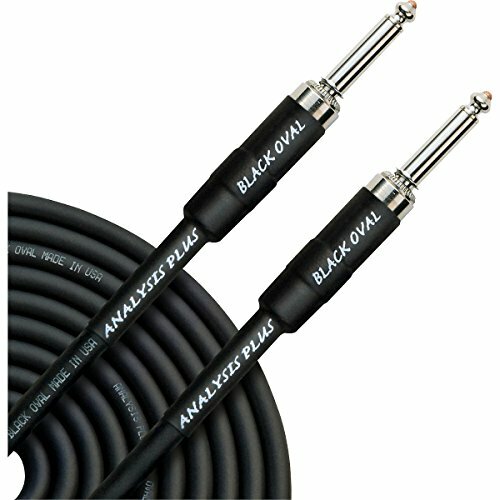 Jazz and acoustic players will certainly enjoy the sound clarity offered by this cable. This premium cable comes in a rugged, tweed jacket with heavy-duty connectors. It utilizes a 20-AWG-gauge wire that lends to the cable’s durability. KIRLIN offers this cable in different length options which are 10, 20, and 30 feet. Despite the high-performance level, this cable is reasonably priced and extremely affordable. Such features place this KIRLIN cable at the top of the heap. A limited lifetime warranty guarantees you of long-term service and top notch performance. You’re assured of less noise when unplugging from an amp, thanks to this oval cable’s silent connectors. You’ll be able to switch instruments without turning down the volume and running to the amp. The silent plug is a special 2-pole plug version that boasts an integrated switch. This switch will automatically mute the guitar cable. You’ll easily avoid annoying squeals and pops when swapping guitars. The cable itself, connectors, packaging, and design are all done in the USA so you know the build quality will be there. The spring-loaded ground sleeve is part of a unique design, which makes a more reliable switching plug. This cable has been verified to be ROHS-compliant. It sounds as superb as it feels. This oval cable comprises 20 gauge conductors. A conductor sheath is included to eliminate microphonics. 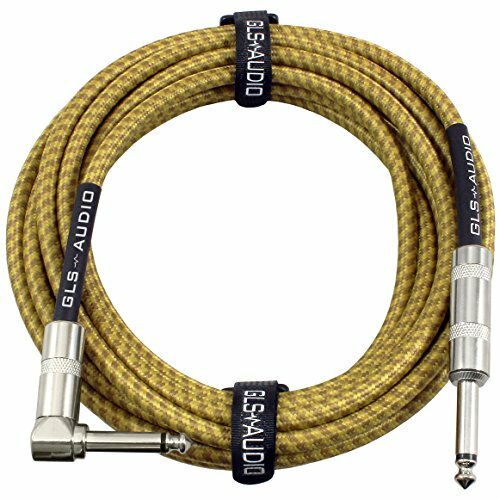 We consider this cable as among the best flex-and-feel instrument cables available on the market today. 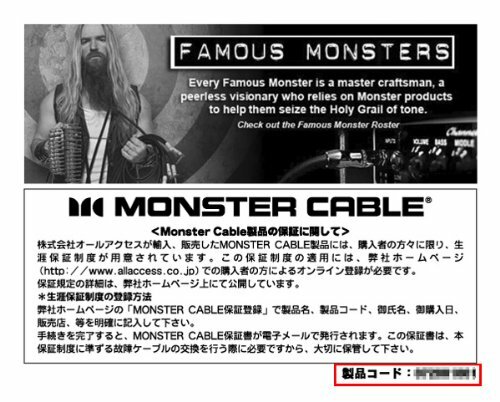 Monster designs this cable to deliver the warmth and harmonics. It’ll help sustain an acoustic with clarity and precision. Magnetic fields found in ordinary cables tend to cause phase and frequency distortions. But, the Monster Acoustic Instrument Cable features 3-way Time Correct windings. These windings will reject interference, thus protecting your transient attack, critical overtones, and full output. The multiple gauges (low- and high-frequency wire networks) are included to allow for accurate and natural sound reproduction. The 95% coverage copper-braided shield will reject EMI and RFI for increased resolution and a lower noise floor. The Microfiber dielectric will provide for greater clarity and even faster transients. Monster incorporates the IsoTec vibration technology that further reduces any handling noise. Another fantastic feature is the extra-flexible Duraflex outer jacket that allows for superior cut resistance and reliability. The striking natural wood-grain connector design helps compliment the natural look of acoustic guitars. Simply put, the Monster Acoustic Cable is exceptional. All guitar cables by Orange Amplifiers are made using extremely excellent components, including high-grade copper. This 1/4 Inch Cable is constructed out of oxygen-free copper. That ensures for optimal clarity and articulation. The dense braided shield acts to reduce noise and electromagnetic interference. Orange Amplifiers keep this cables’ onstage tangling to the minimum. They achieve that by using a specially designed nylon woven sleeve, that’s also armor-plated. The Neutrik connectors ensure high quality, reliability, and durability. You’ll love the fact that this cable comes backed by a lifetime warranty. That alone assures you that this cable is durable and reliable. Since there are so many options are at your disposal you can quickly get overwhelmed when looking for a 0.25-inch instrument cable. Whether you like them uncolored and flat, or with large accumulated capacitance, keep your ears open. You’re bound to find one that fits your playing style, sound, and budget. We don’t think you will go wrong with the cables we’ve featured in this guide. They’ll open up more tonal range from your amp and give you more depth to work with. They’ll help you sustain your notes better. A nice cable will make a difference. Let us guess – you either have a broken string in your hands or have worn out strings that need replacing, right? Choosing a string for your beloved acoustic guitar isn’t an easy task since not all strings are created equal. With the swarm of guitar string manufacturers flooding the market, choosing the best strings for your needs can be a confusing trip to your local music store or online if you are looking for better deals. You can’t just wing it and hope you’re using the best acoustic guitar string for your instrument. To help you be more informed & make the right decision, we’ve scoured the World Wide Web & our own experience for the best acoustic guitar strings on the market. This is like our article on the best guitar strings, but only for acoustic strings, so we hope you find it useful! We’ve listed the top 3 guitar strings along with their unique features and benefits that will serve as your ultimate guide in deciding which one will work best according to your playing style, level of experience, and acoustic guitar skills. Let’s do this, kids! Third on the list is Martin SP’s acoustic guitar string, medium gauge, phosphor bronze. These Martin Studio Performance level acoustic strings are perfect when used during studio sessions and live performances. A lot of effort has been put into the improvement of these acoustic strings to ensure that the result is something that guitar players from all ranks and skill set will love. The Martin acoustic strings provide acoustic guitar players with maximum string life. They come with superior, high quality steel cores that cam effortlessly resist breakage much better than average strings in the market. Martin’s medium gauge strings are not intended for beginners as their heavier weight will be ultimately difficult to fret and will injure a beginner’s un-callused fingers. If you’ve been playing guitars for awhile and already possess awesome callused fingers (well… kind of awesome?) then these strings will definitely fit your preference. The bronze strings are smooth & with the bronze acoustic finish they allow players to experience the most out of its string life. It also adds to the brightness of the sound produced along with the tonal quality. If you’re into superior sound and tone, these strings are the perfect choice for you. 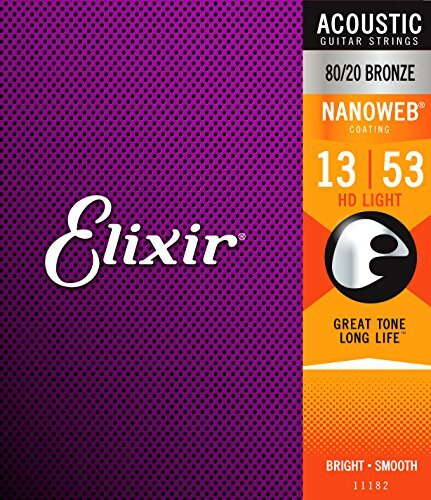 If you’re all for durability, performance, and sound then the Elixir Acoustic Guitar strings 80/20 Bronze with Nanoweb is the perfect string to dawn on your acoustic guitar. Most professional acoustic guitar players prefer playing with these as the Nanoweb coating provides a brilliant, lively tone coupled with long sting life, which is definitely appealing. Elixir has been around for a long time and has developed strings that appeal to all guitar players no matter what type of music they’re into. The entire string is protected with a super thin coating that ensures gunk are kept out of the gaps that can be found between the windings. These strings are less likely to produce finger squeaking sounds that can be noticed in some strings from other manufacturers. These Elixir strings are guaranteed to last longer so you won’t have to frequently change your acoustic guitar strings. Acoustic guitar players that use Elixir strings swear by the strings’ durability and attest that the tone of these strings are by far the best in the market, whether coated or uncoated. Elixir strings are plated steel strings that are tested and proven to be rust proof and can resist corrosion so the tone quality of the string is maintained. 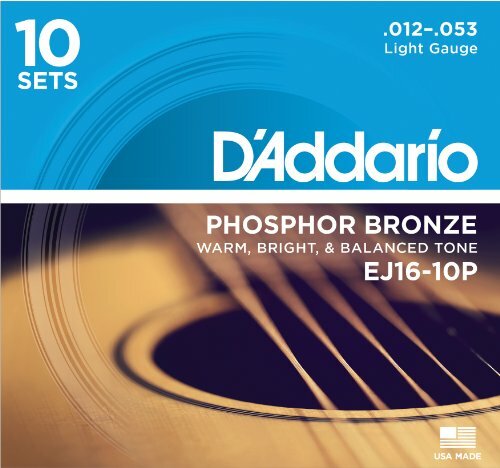 Sitting in the most coveted number 1 spot is the D’Addario’s EJ16-10P. It provides guitar players with the perfect balance of projection and volume making it the most popular choice for guitar enthusiasts. Made of Phosphor Bronze, the strings are resistant to corrosion and the bronze is applied onto a hexagon shaped carbon steel core. This feature allows musicians to play brighter tones with superior intonation. The EJ16-10P strings are wonderfully comfortable to play and are the most preferred strings by acoustic guitarists because of their bright and well balanced acoustic tone. The best thing about D’Addario’s strings is versatility, which makes it a perfect fit in playing music of all genres. The entire line of D’Addario’s strings are manufactured in the US, utilizing technologically advanced machinery to ensure high quality strings are made every single time. Superior performance, flexibility and durability make these strings the perfect choice for acoustic guitar noobs and professionals alike, no matter what type of music genre you’re into. However, these strings can suddenly break, so it comes in a set of 10 strings to ensure that you have a replacement standing by whenever this happens. It could be argued that guitar strings are the most important components of a guitar, because, without them, you can’t play the guitar…. Apart from my terrible attempt at humor, I stand by the statement that strings are very important to guitar tone, playability, and overall sound. When I first started to pick strings out it was overwhelming to say the least, I found it really hard to know what string would be the best for my sound, and felt like the guy at the guitar shop was just trying to sell me his favorites. So I wanted to write a guide for picking the best guitar strings for your style of playing, whatever that may be. By giving the basic facts about what strings are and what they are made out of I am hoping you will be able to decide for yourself what is best for you. Through my travels to the guitar store I have found different kinds to be better for me and I have stuck to playing with those. But I feel I have an overall picture of what types of strings are out there and have done some research to gain a better understanding technically. What kind of feel you want the strings to have. The below guide will help you decide what kind of strings will be best for you. Let me know what you think in the comments section! The gauge of a guitar string defines how much metal is used to make the string. Technically it can be defined as the diameter of the string, which makes it easy to understand because as the numbers get bigger the string diameter gets bigger. Bigger number thicker string. There are many variations of string gauge set-ups but there are four that are pretty commonly put together in string packs. We will go over the usual combination in each of the four common string sets, however, some manufacturers are different so just be mindful. Extra light strings would be the smallest strings out of the four main categories of gauges. There are lighter strings out there for sure but this is a rough guideline. They would be the most flexible on the neck and when you are playing. They would bring out the brightest tone and probably would break the easiest, nothing against them just the truth. These strings are great for beginners because they provide an easier action while playing so your hands don’t get as tired. This way anyone learning can practice for longer and be able to shred that much quicker! As you can imagine light strings are similar to extra light strings, but a bit larger in diameter overall. They are still prime for beginner players and may even be better since they are easy to play, but bring out more of the tone spectrum. They are great for if you want to really shred the neck and play really fast. However, some metal guitarists use heavier gauges due to the fact they use lower tuning structures. Medium strings can be seen used for rock and blues quite often. In these genres, guitarists may look for strings that offer the flexibility to bend the string combined with the rigidity of a heavier gauge to get a solid rhythm and bring out more of the tone spectrum. These strings are the heaviest and largest in diameter. They provide a thick sound and bring out the full tone spectrum in the string. They can be used really well for strong rhythmic picking, in playing where you don’t need to bend the string to get the right sound, and where smoothness is your goal. These strings can be found used by many jazz guitarists who often get flat wound heavy gauge strings. They are also the hardest strings to play and require the guitar player to have strong hands in order to play for a while. As a beginner, tread carefully with heavy strings or you could be faced with some sore hands. A cool thing about strings is as you get to know different kinds you will find gauges that suit what you like for each string. If you like certain gauges on the top end of your strings and a different gauge on the other, you may be able to find a pack of strings with that gauge combination. There are many combinations that can be found straight out of the pack. Another option is to find deals on different gauge packs and combine what you want from them. If all else all of those string packs could provide for some handy “just in case” strings. String material will make a big impact on the sound of your plucking and how it feels to play the guitar. It is important to understand the different string materials that are out there so you can avoid bringing home undesirable strings. Each string type is unique in its own way and some are very different from others, but I have found sticking with the popular strings for the respective guitar and genre is a good way to go. The list below isn’t fully comprehensive either as it sums up what you would find at most guitar shops. Nylon – Nylon strings are predominantly used for classical guitars and acoustic guitars. They are made out of nylon (duh) so they are basically plastic strings. But don’t be fooled and associate plastic with cheap. When playing classical guitar nylon strings become absolutely essential and getting the best nylon strings can be a make or break to getting the perfect tone. These strings can also be used for folk, bluegrass, and other mellow and round sounding uses. Nickel-plated steel strings are most common for electric guitars and basses. The steel provides a solid and bright sounding tone and the nickel rounds it off and also provides protection. Plain steel strings will give the most twang out of the bunch. If you get a pure steel string I would caution you as they can become damaged and can age really quickly. Plain nickel strings are a bit rounder sounding and can be muffled compared to the twang of pure steel or a string with steel in it. Pure strings can also be pricey so watch out if cost is an issue! Cobalt is a very precise string material. It is perfect for ripping a solo or if you want a string that will pick up all the subtle nuances in your playing. Cobalt strings could be a bit too precise if you are aiming for something a bit dirtier. Chrome is similar to stainless steel wound strings. They are brighter and provide a bit more twang. This is because these are harder metals so they are less forgiving. Polymer coated strings are found primarily on Elixer strings but also other manufacturers offer them. They offer enhanced protection to the string so the string stays true longer. These strings are pretty much just fun. They can be coated with different colors to add more flare to the look of your guitar. I knew someone with the below strings for their bass and it looked pretty awesome. Winding can produce a great deal of variation in the feel of the guitar string as well as the tone. It is a feature that is often overlooked but if you are serious about getting the perfect feel on the fretboard then definitely understand the three main types below. Round wound strings have the largest ridges where the string has been wound with another material. These strings are the brightest and most balanced toned string. They are also found on most guitars and are the most common way a string is wound with a secondary material. 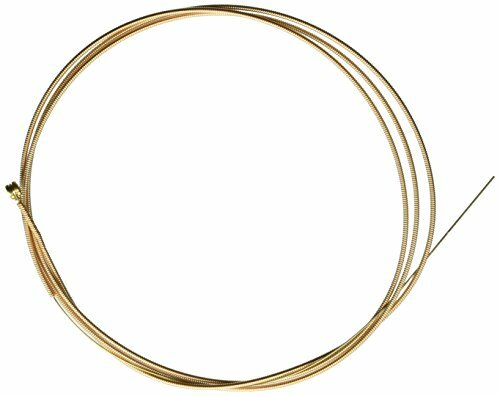 Half round strings are a mix between flat-wound and round wound strings. So as you could piece together the sound and tone you get from them is a mix between those two as well. They are a bit brighter than flat wound, but a bit smoother than the round wound strings. Sometimes sitting on the fence isn’t a bad idea. These strings are rarer than round wound strings but are used fairly often within the jazz community. They are a very smooth string and are the best string to use if you want to properly use a violin bow like Jimmy Page. They produce a somewhat rounder and warmer sound but can be viewed as dull. These strings are especially great on a bass guitar. If you own a fretless guitar as well then flat wound strings would be a must, and probably came stock on the guitar! The regular slinky nickel wound strings from Ernie Ball are a top favorite among many guitar players. They are a bright sounding string made of steel and wound of nickel. The .010 - .046 custom gauge combinations makes for a solid playing experience. They also are reasonably priced so you can afford to pick up some “just in case” stings. Check out the super slinky and hybrid slinky as well for a bit of a different take on a classic nickel wound string. Elixer strings come stock with their famous nanoweb coating. They are often found on acoustic guitars with a bronze wind but the nickel wound strings for electric are pretty solid as well. Bronze has a softer tone than nickel so is great for acoustic. D’Addario make some really vintage sounding strings. They have a bright sound but avoid any unwanted overtones and shrill. Some could also say these strings have a bit more sustain than others, but I think that comes down to personal taste and rig setup. Sound: you will start to hear the string become dull over time. It will lack the same crisp sound new strings have out of the pack. Your bends won’t be as solid and strumming won’t be as impactful. Look: it is fairly easy to physically see if strings need to be replaced as well. If they start to look frayed in any areas, rusted or discolored, or if there is any gunk built up around the frets. Time: old strings get old, that is just the way it is. Sometimes it is just time to replace your strings, especially if you have a gig coming up and haven’t replaced your strings in a while. Old strings are prone to breaking and the last thing I want is to have to fix a broken string in the middle of a set. If you are a new player, putting on strings can seem like an uphill battle. If you are a seasoned vet putting on strings can be a serious nuisance. Ultimately it is a task that needs to be done and if you do it smart it can be easy as eating an apple pie on Sunday. To get the strings off and then on again quickly, look for a tool like the one below that will assist in turning the tuning keys. This can be a really annoying part of replacing strings and the quicker you can get it the better. Once you have the string in place and ready to tune, try to stretch the string out a bit before tightening it to the right pitch. Do this by carefully, very carefully, taking your thumb on one end of the string, and nest the rest of the string in your palm to create tension. Apply enough tension to stretch the string a bit but not enough to break it. Move up and down the neck and then tighten the tuning key to tune once it is stretched just enough. When changing strings you may notice a variation in the action on the fret board. This is because some variations of gauges, brands, and string materials alter the height on the fret board and against the neck or bridge. You may notice some buzzing and clicking if you really hate the sound you can take it to a guitar tech to get it fixed. I’d find a set of strings you really like and then get your guitar set for those. Avoiding a few unwanted back and forth trips from the shop without a guitar! Hope this guide helped in terms of narrowing down your choices for choosing the best guitar strings. Check out some of our other articles on guitar pedals if you are keen to increase your sound!